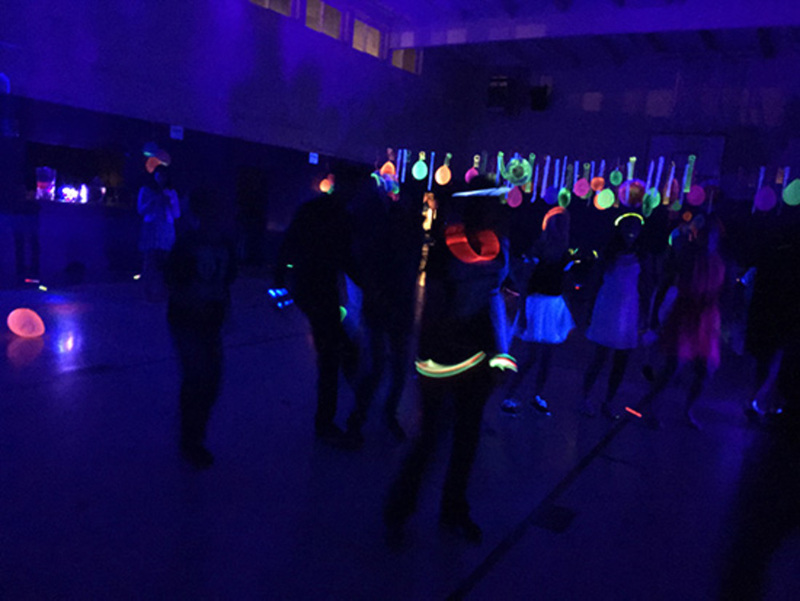 Renting black lights is an easy way to complete your Neon Dance Party decor. These photos were sent in by St. Paul's Lutheran School in San Diego, CA. 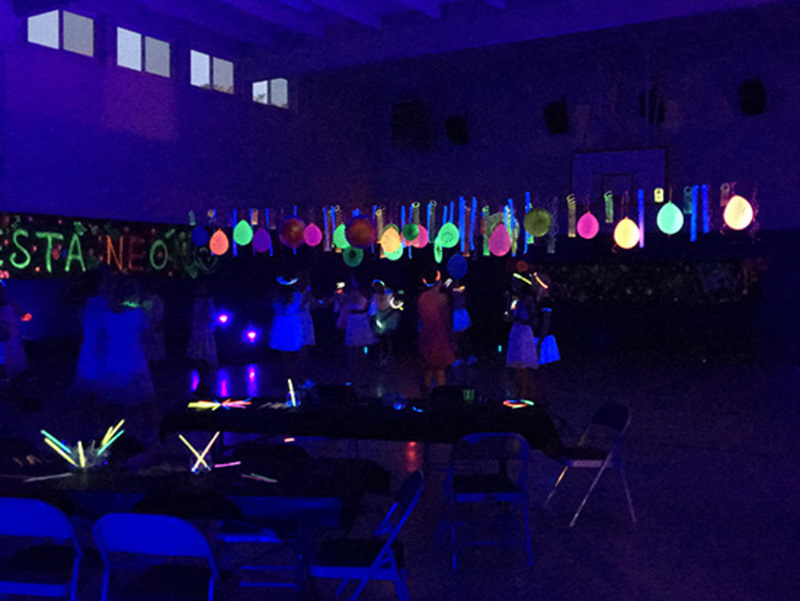 They rented 6 black lights for their neon themed school dance.